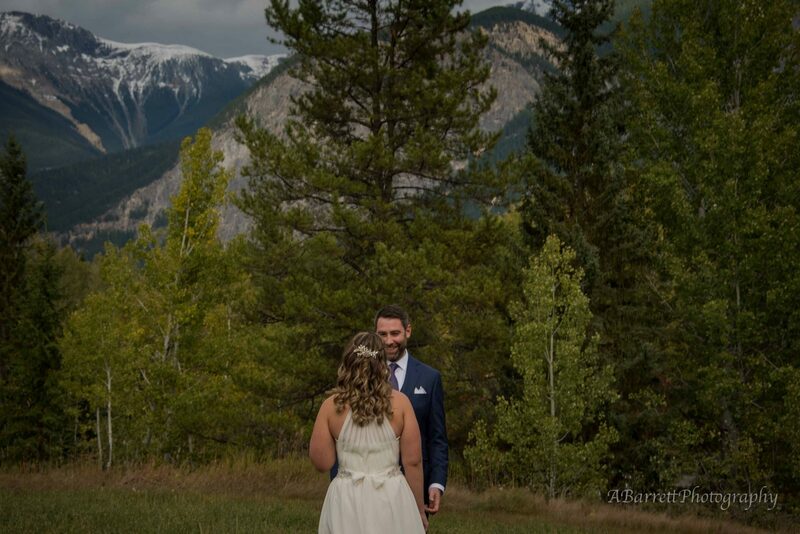 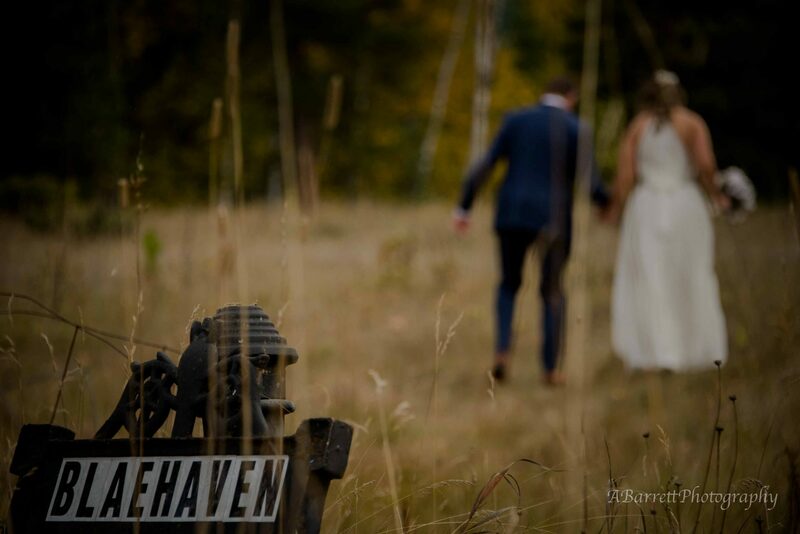 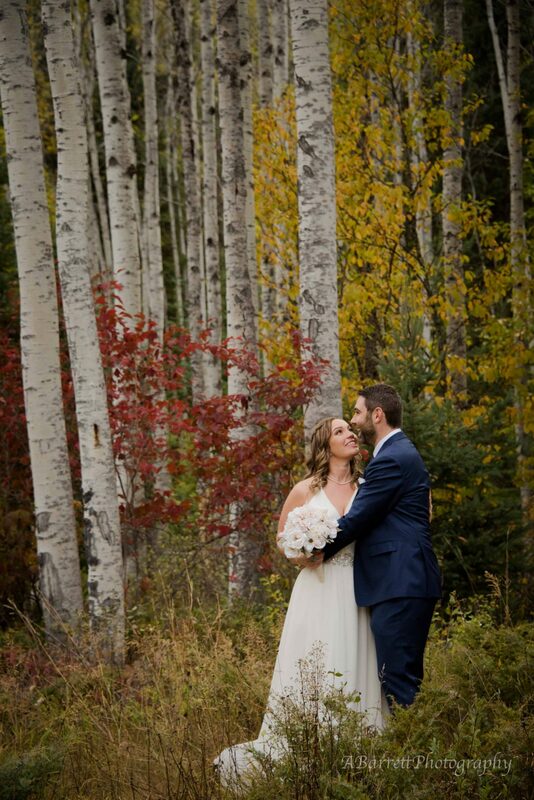 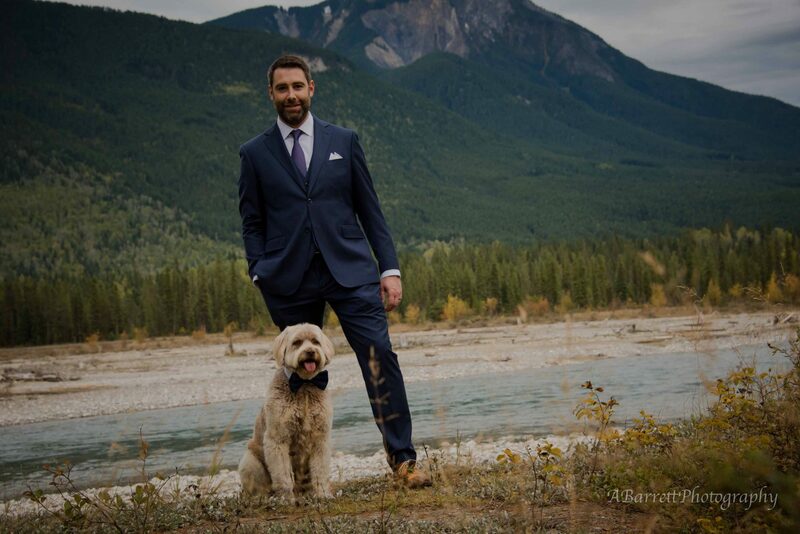 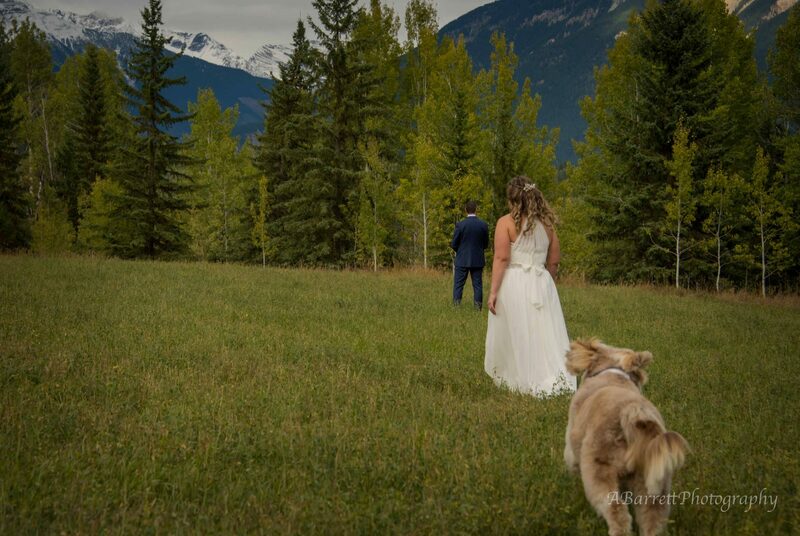 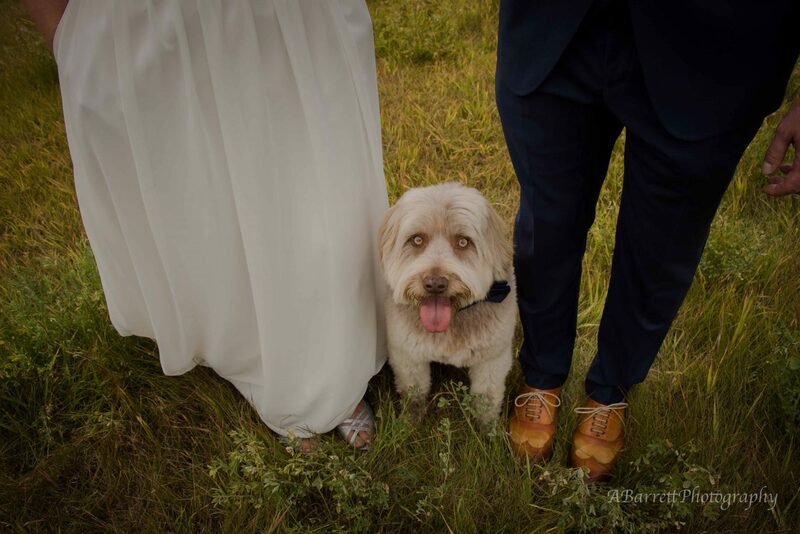 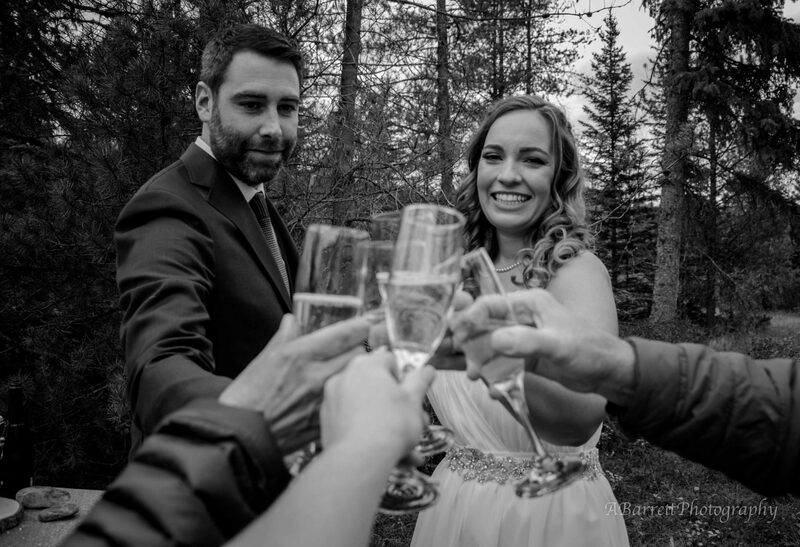 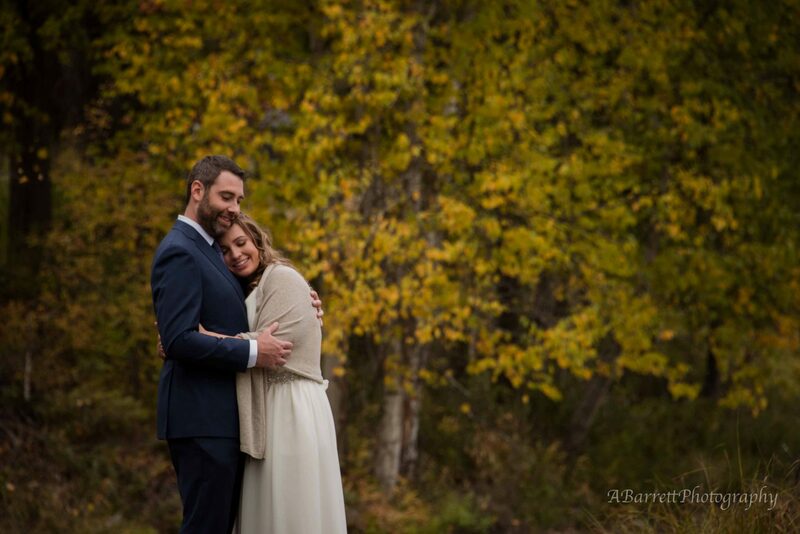 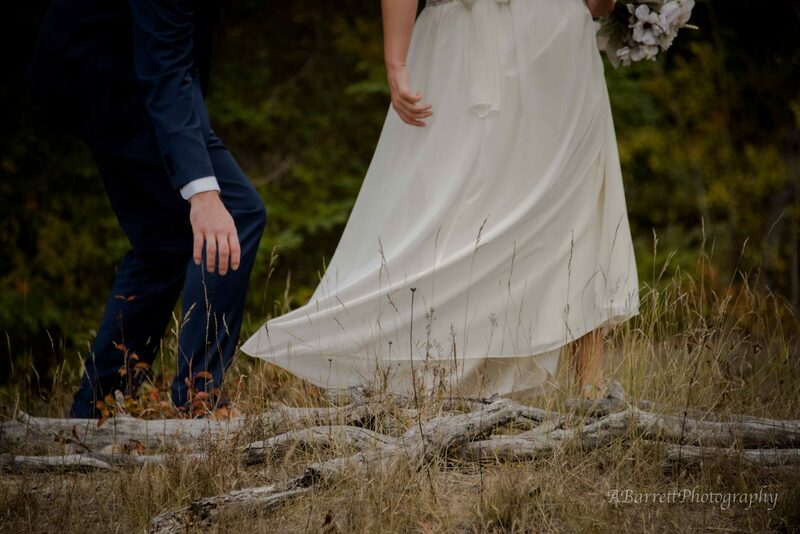 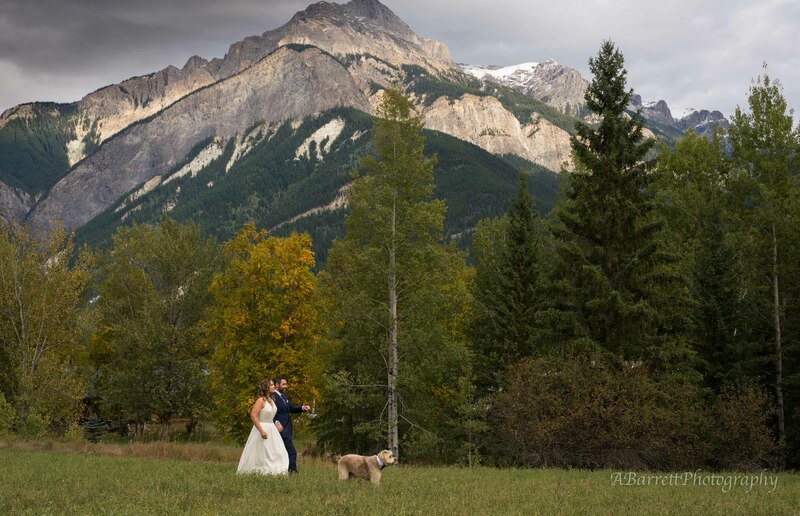 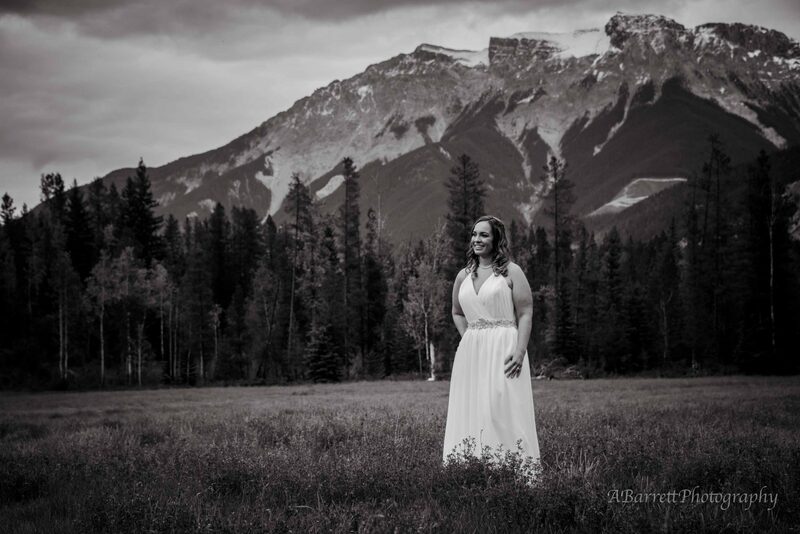 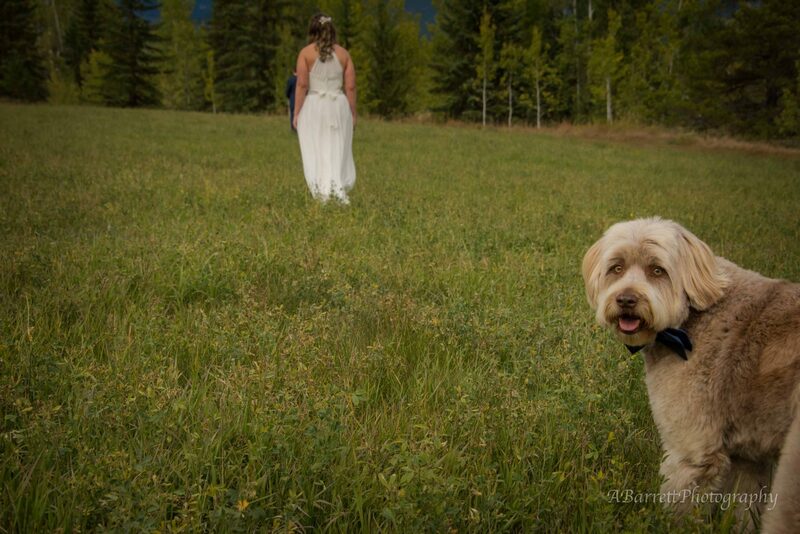 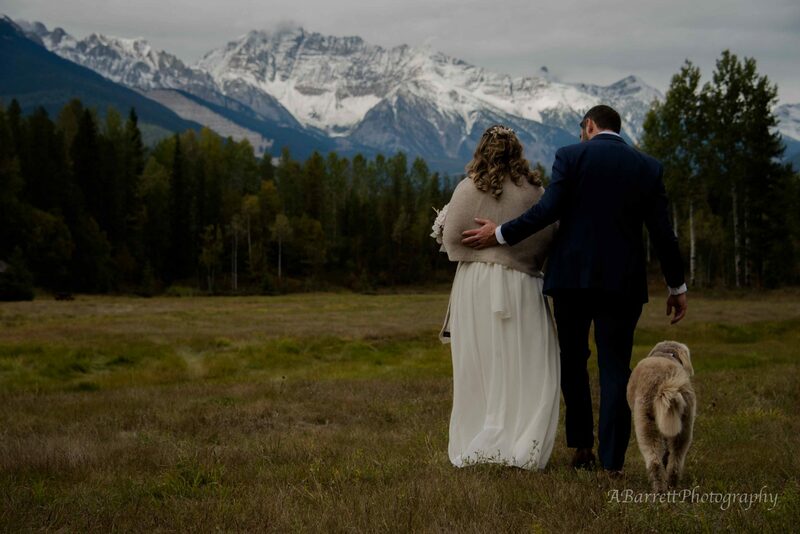 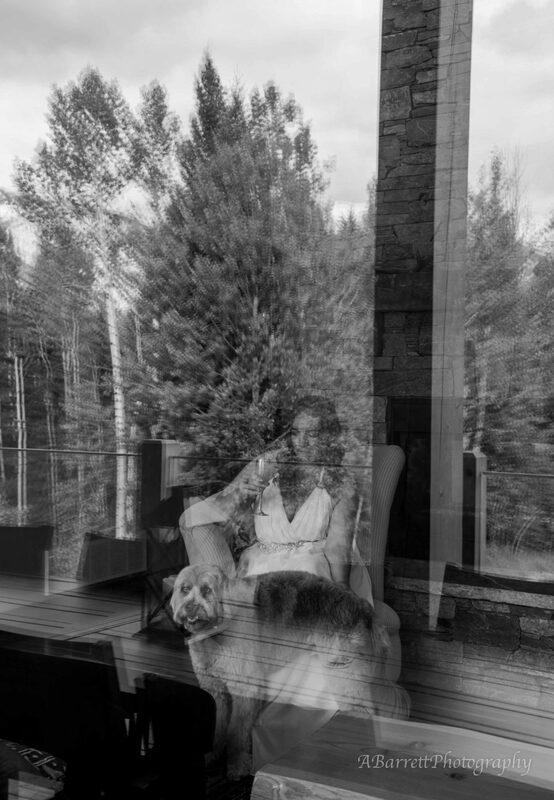 Bethany and Scott chose to have a very private elopement in the Blaeberry Valley just north of Golden B.C. 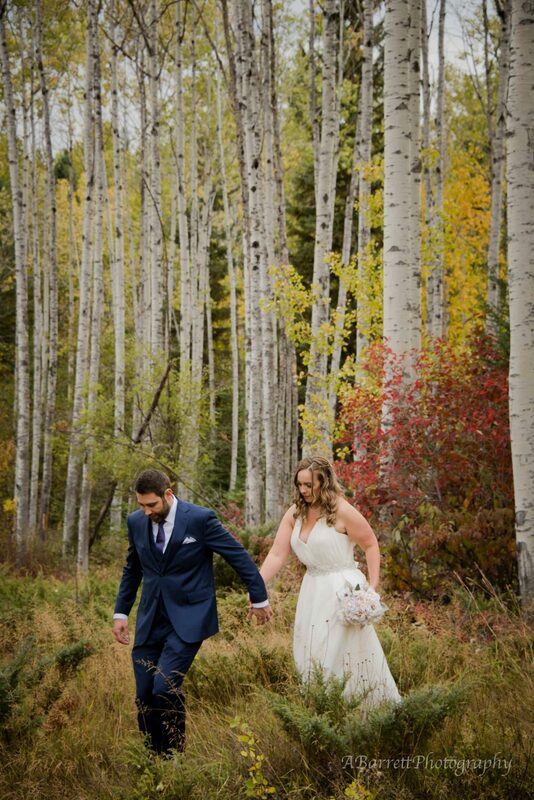 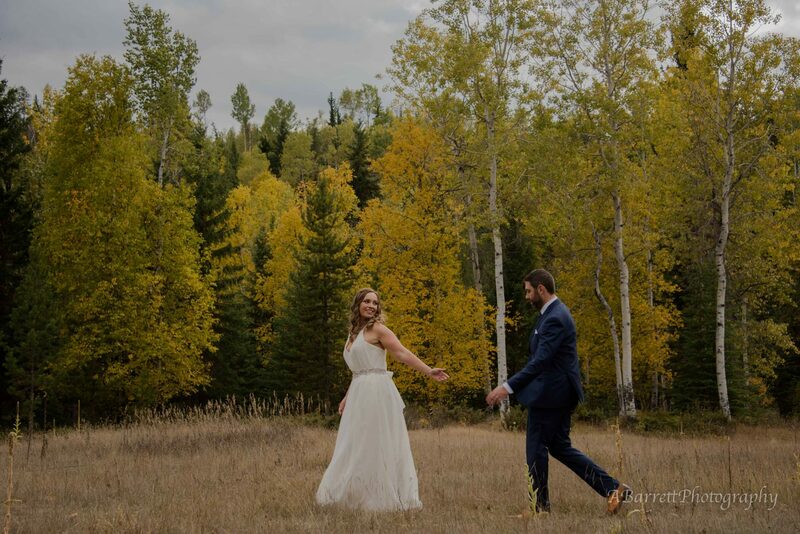 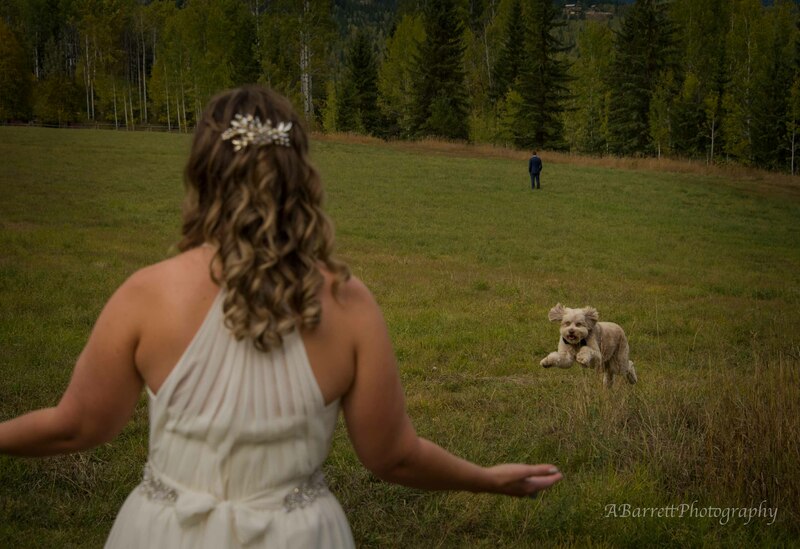 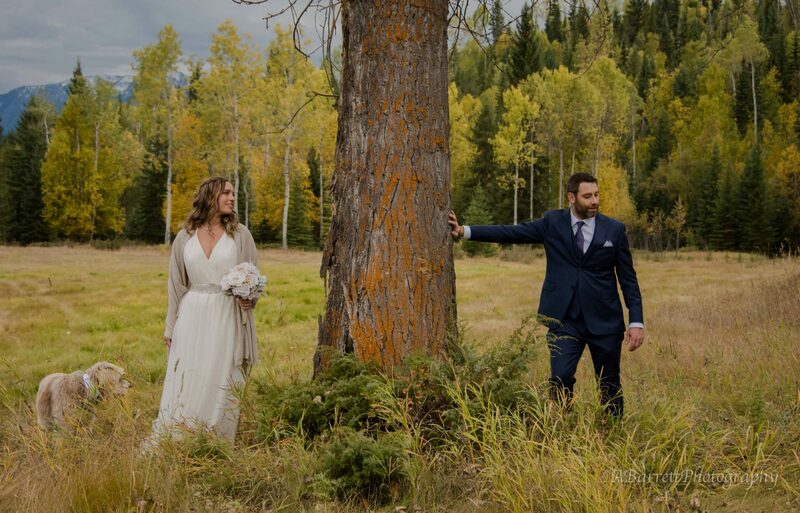 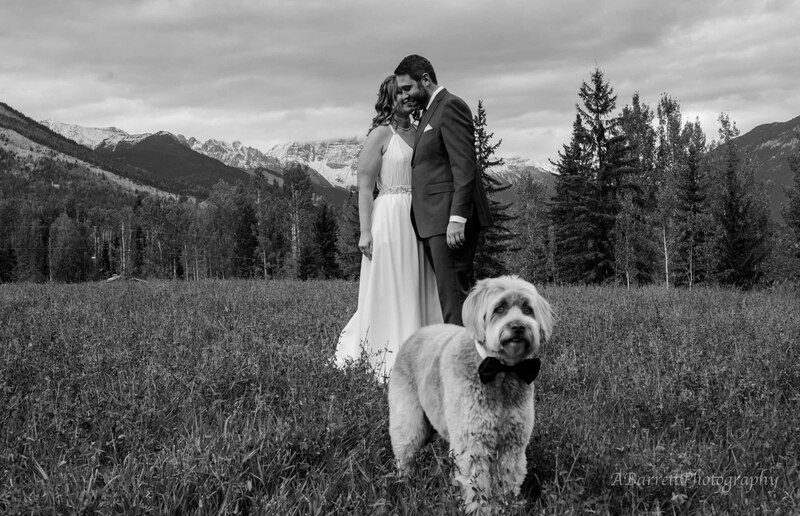 They both got ready at the cabin and chose not to see each other till just before the ceremony by having a reveal in the field. 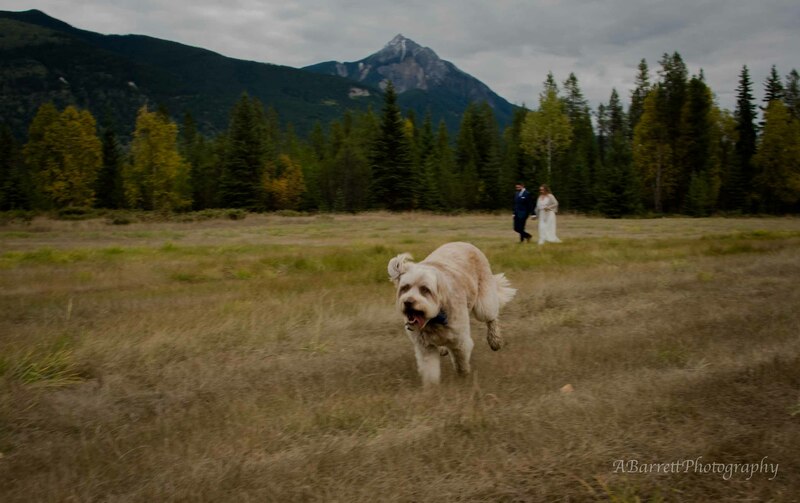 With only myself, the marriage commissioner(Phylis), Rocky Mountain Cabins owner(Les) present and of courses their puppy Marty. 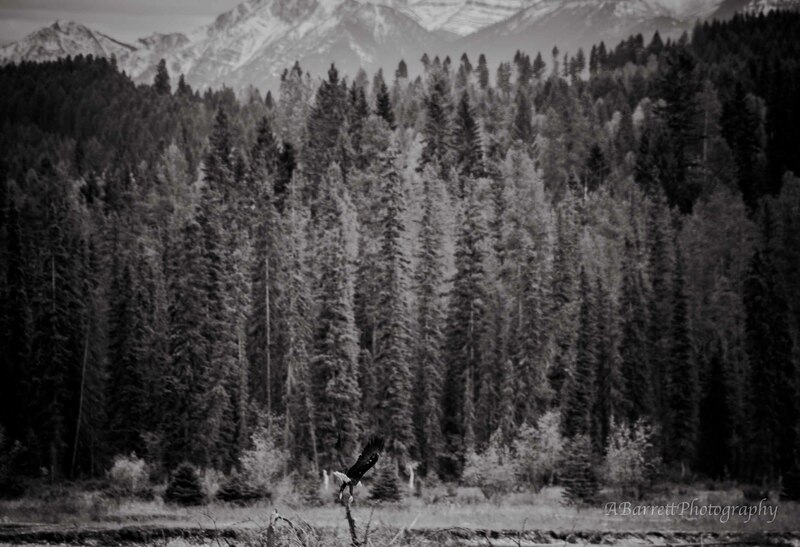 It was a stunning fall day, the Purcell and Rocky Mountains tinged with a light layer of snow. 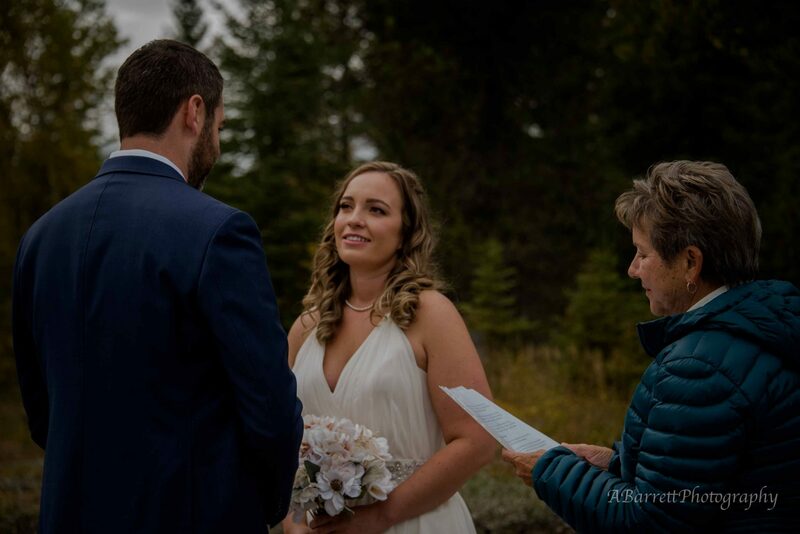 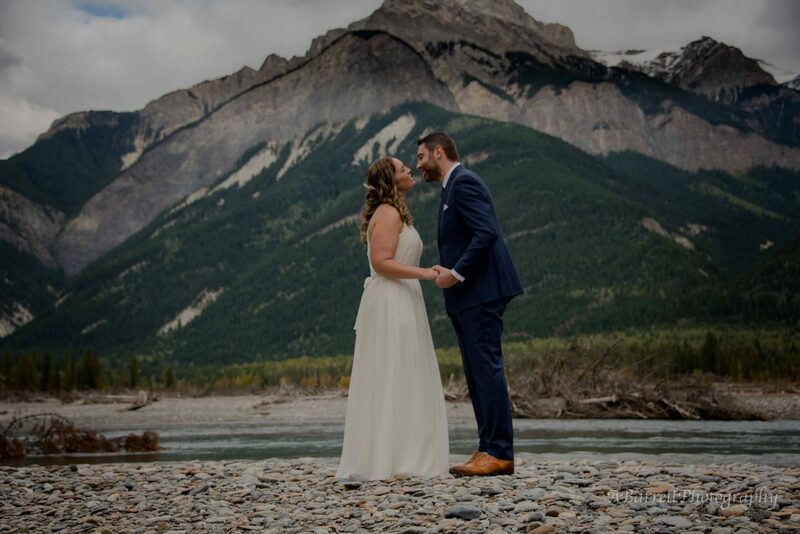 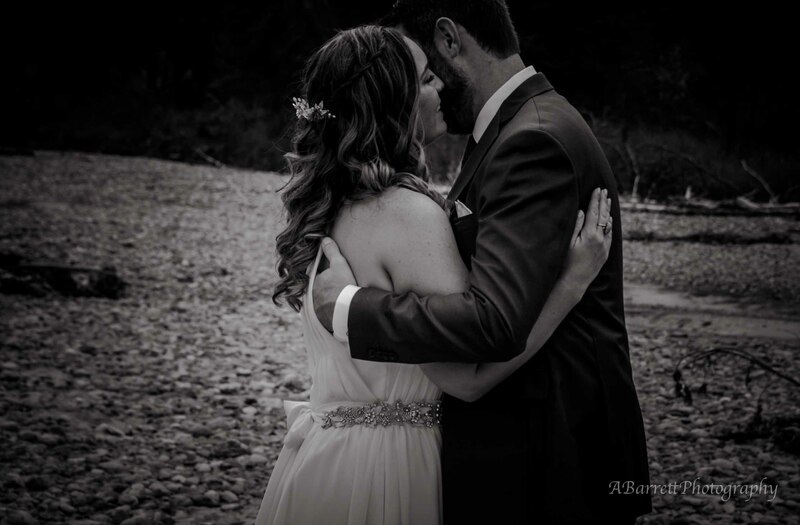 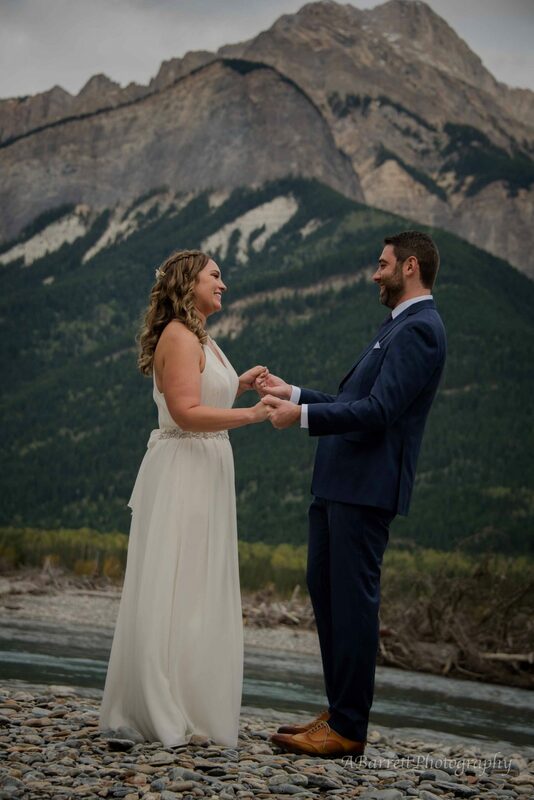 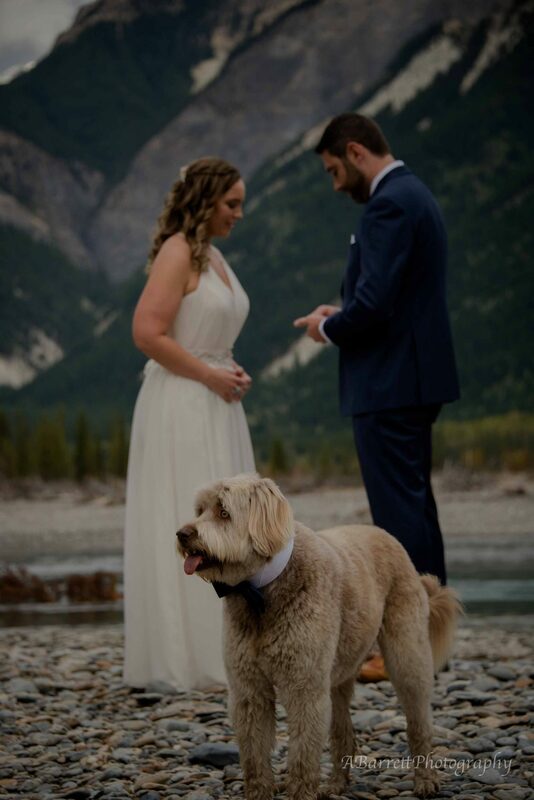 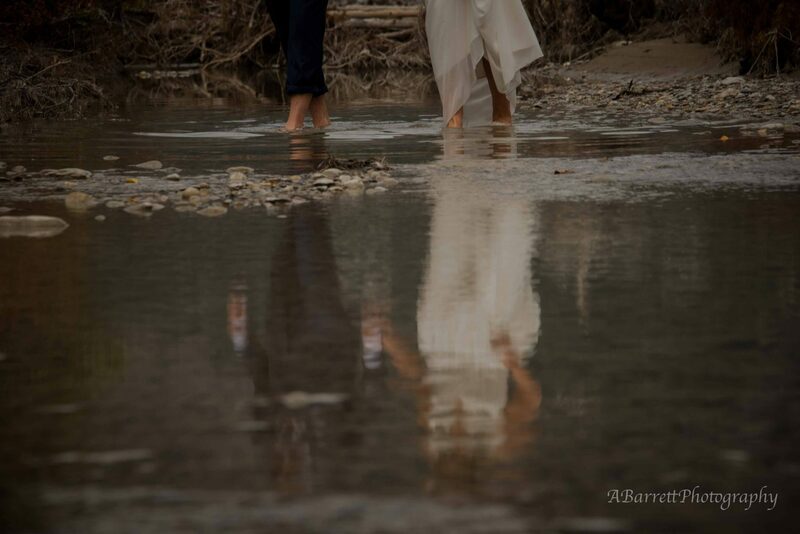 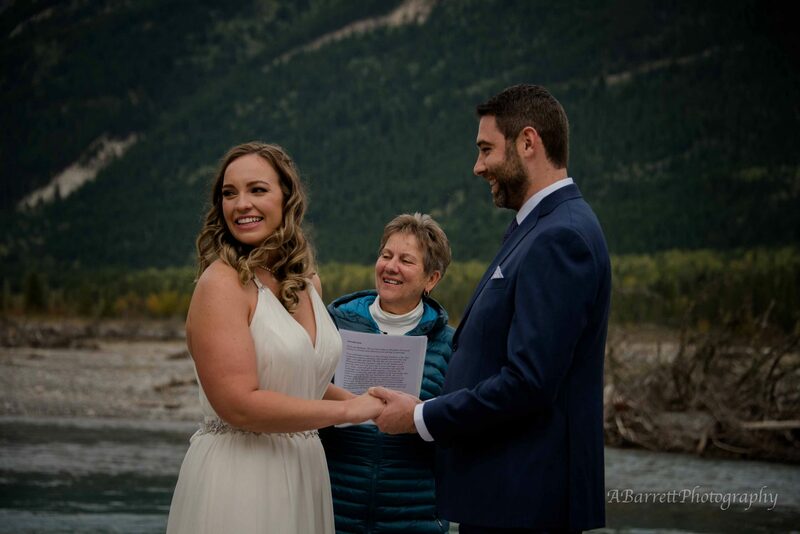 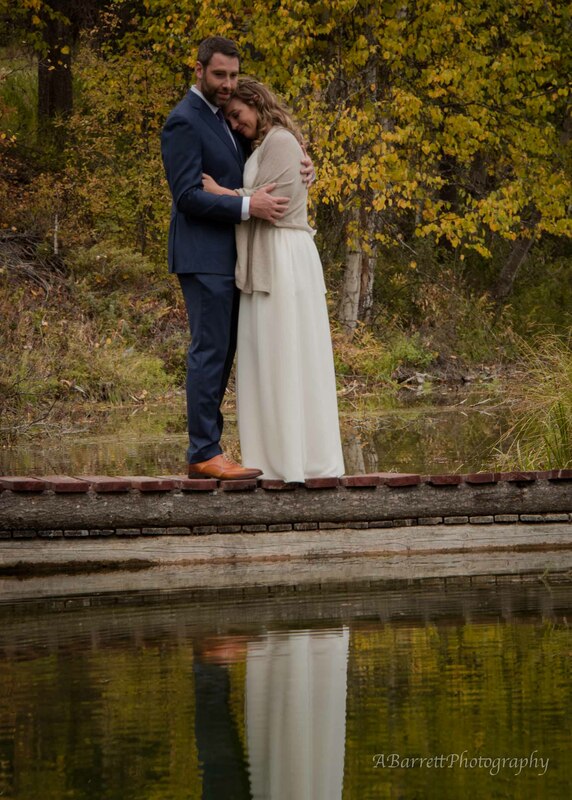 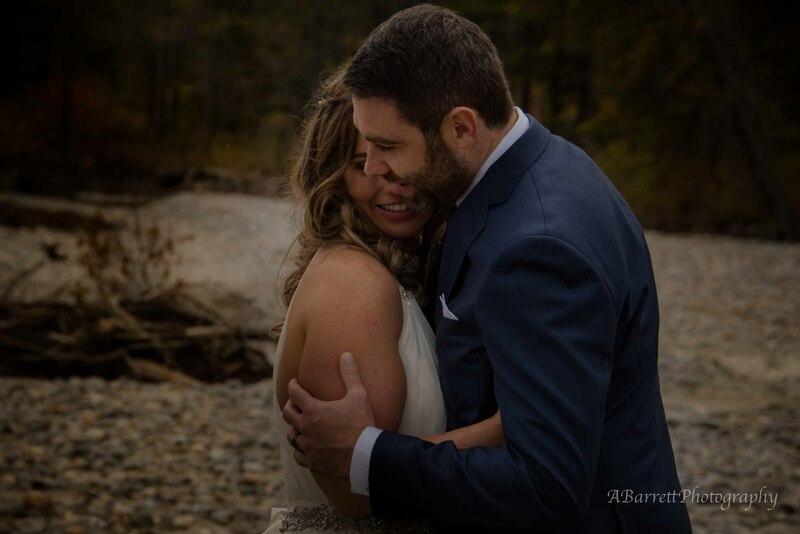 Bethany and Scott receipted their nuptials beside the glacier fed Blaeberry River which at one point they braved the icy waters and dipped their toes in. 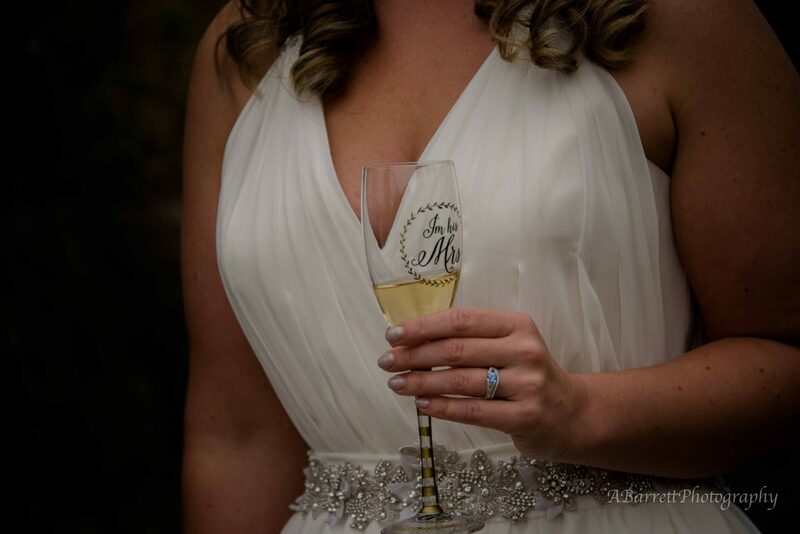 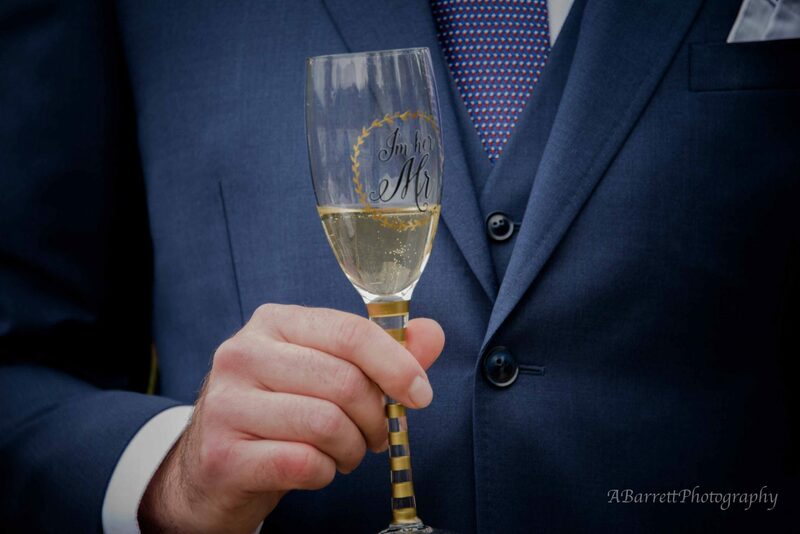 A champaign toast followed the signing. 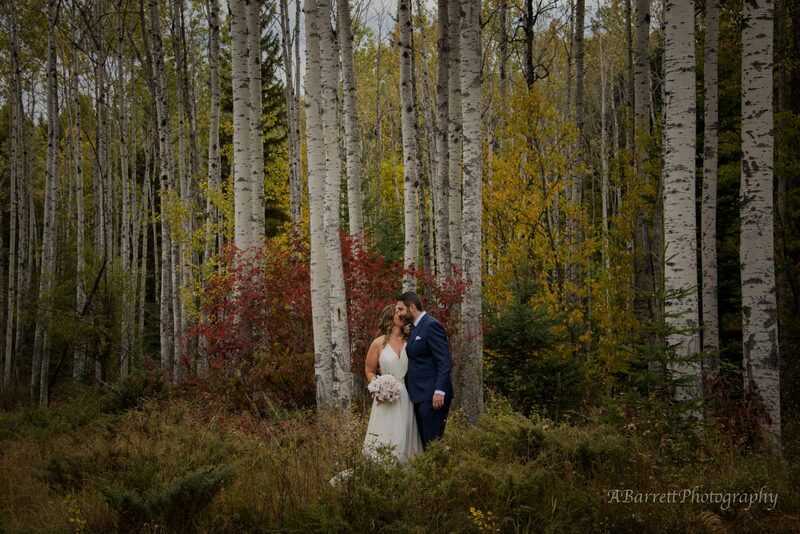 We then walked the property taking advantage of the magical scenery and the fall colours for stunning portraits. 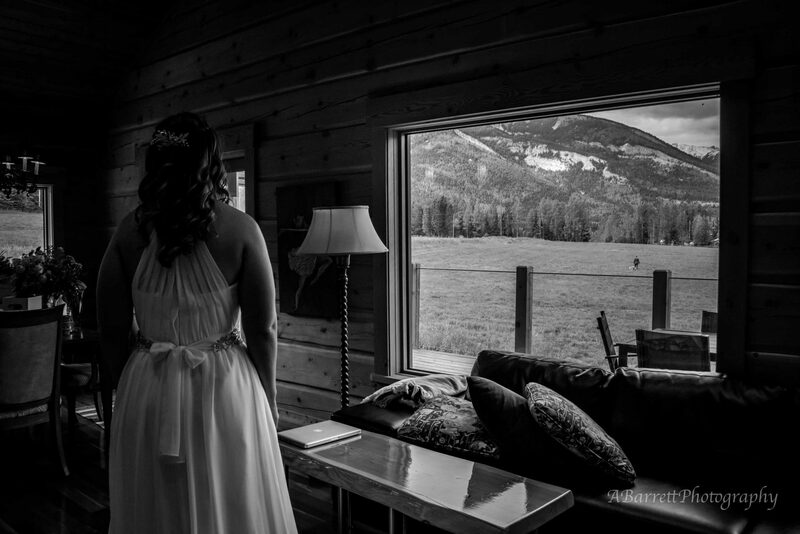 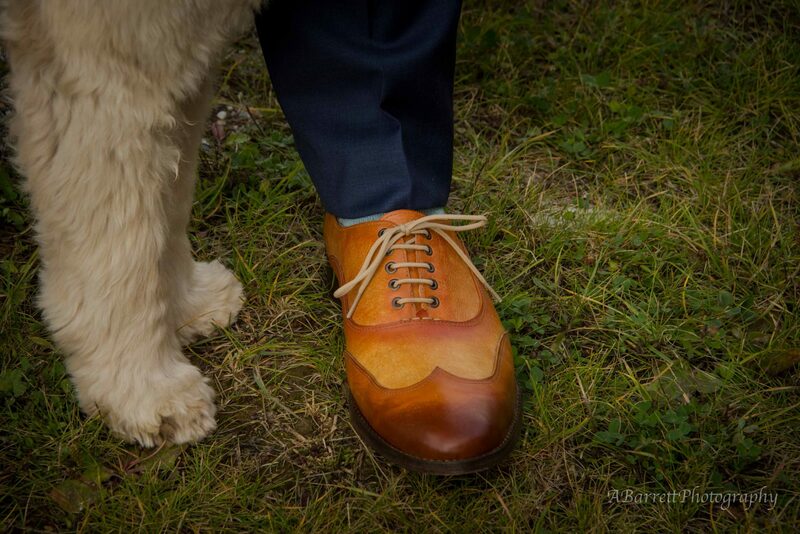 I felt honoured to have been a part of their wedding and capture it for them. 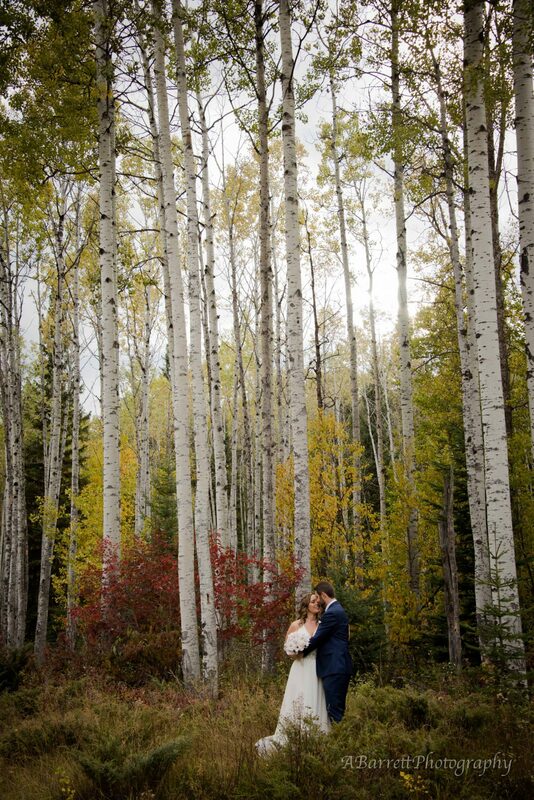 Scott and I went through the usb of photos last night and we wanted to send you a note to say thanks again for capturing our day so beautifully. 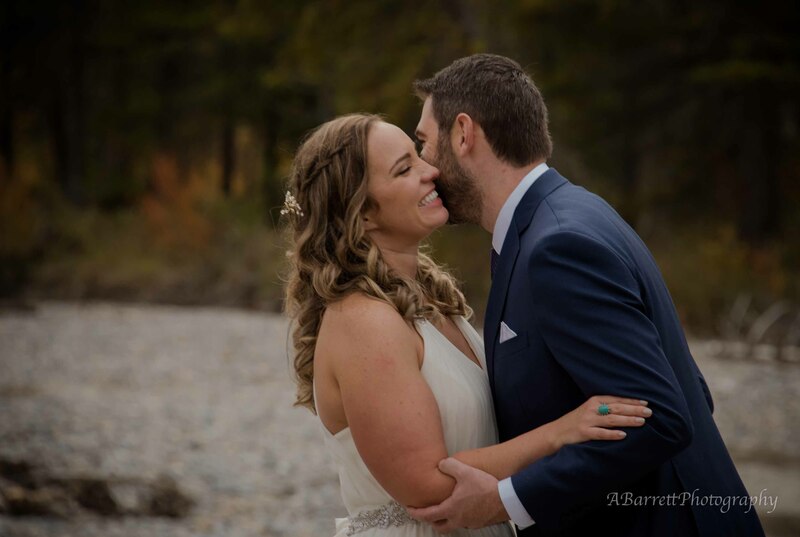 We also love the selection of photos that you posted on the website for us to share with family and friends – we showed a slideshow on the weekend at a family gathering and some tears were shed – the candid moments you caught have given our loved ones the opportunity to share the day with us and we’re so grateful for that. 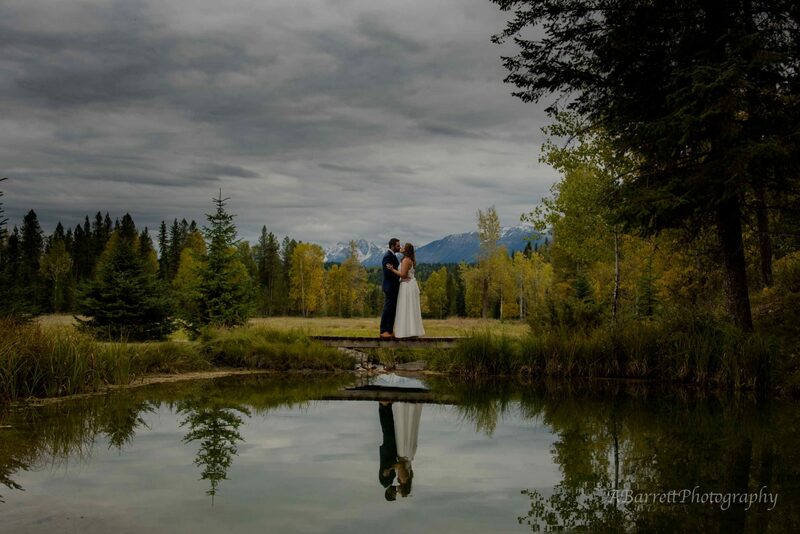 We’re also blown away by the great shots you got using the reflections on the water and capturing the fall colours and mountain backdrops. 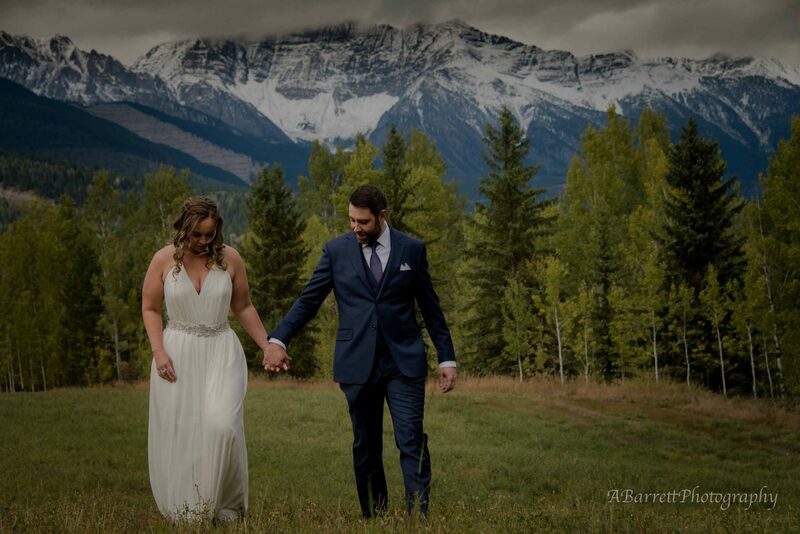 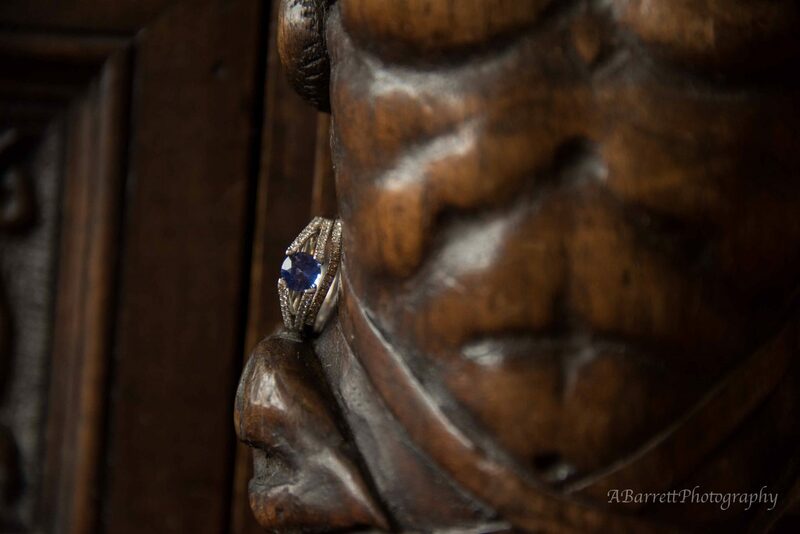 In a beautiful setting like the Blaeberry it’s easy to look at photos and think that they don’t do the scenery justice, but honestly we looked at your photos and thought that the scenery almost doesn’t do the photos justice! 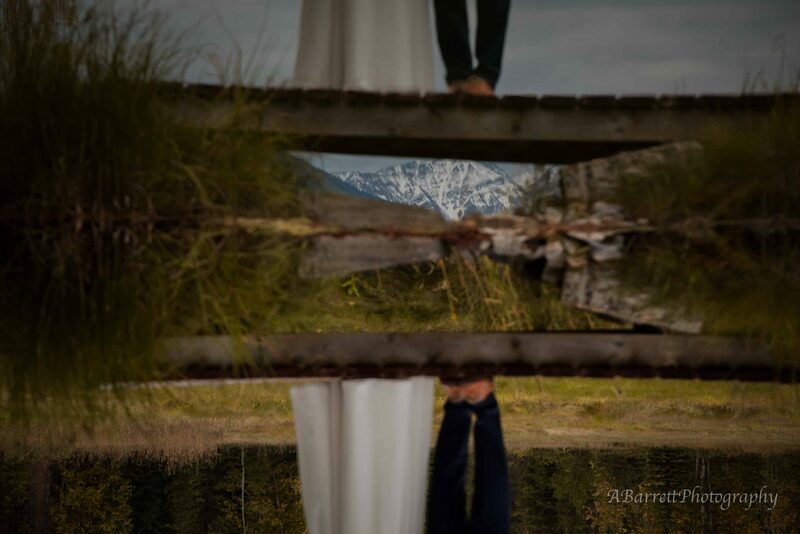 There were so many details in the scenery that we never even picked up on until we saw them reflected so beautifully in your photos. 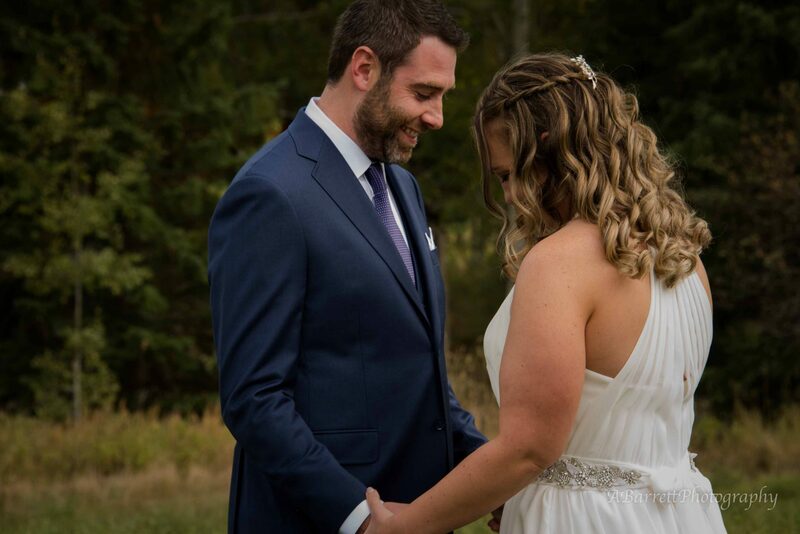 Thank you for your amazing work, we couldn’t be happier!